To keep up that with special holiday feeling in the air, we have yet another giveaway for you, this time from DL and the good folks at NVIDIA. 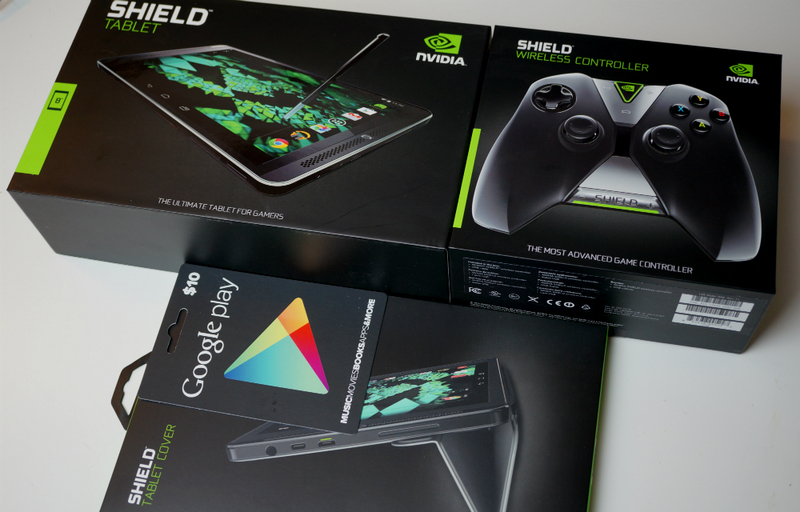 We have partnered with NVIDIA to give away two very special SHIELD Tablet bundles, sure to keep you busy throughout 2015. Inside each bundle is a SHIELD Tablet 32GB+LTE, SHIELD Controller, Tablet cover, and $10 Google Play gift card. With that gift card, you can buy a few game titles to play on the SHIELD Tablet, or get yourself a movie to watch on the 8″ 1080p display. While you won’t be able to have the bundle under your tree for Christmas morning, the bundle will be shipped out once we have our winners, meaning it will be more of a New Years present. Either way, enjoy it. Ready to win the ultimate mobile gaming bundle? 2 (Two) SHIELD Tablet Bundles. Each Bundle includes a 32GB+LTE SHIELD Tablet, SHIELD Controller, Tablet Cover, and $10 Google Play gift card. We will randomly select our winners through Rafflecopter on Friday (December 26) at 10am Pacific.